Look@OurBlog: First wiggle seen around the World! It was the first little wiggle seen 'round the world! 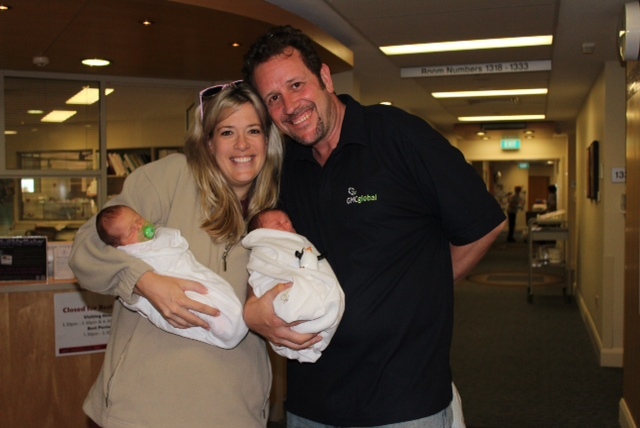 Thanks to Look@MyBaby and St John of God Hospital Murdoch in Perth, our family and friends were able to take a peek into the earliest moments of our daughters' lives! 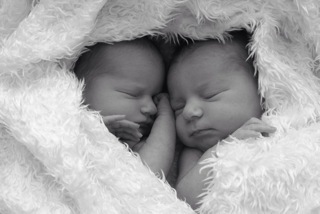 As dual citizens of the United States and Australia, our journey through years of fertility challenges eventually took us to South Africa for IVF with an egg donor. 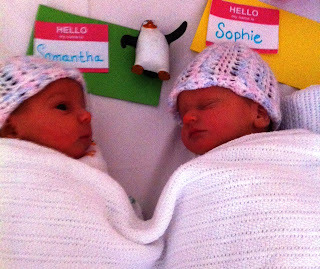 When our babies were born, we invited our loved ones and friends in the U.S., South Africa, Germany, England, Ireland, Singapore and here at home in Australia to 'meet' our girls! When visiting hours at the hospital ended our parents were able to watch footy on TV at home while falling more in love with the new grandkids with the laptop logged on to Look@MyBaby, and they live just 20 minutes away! Near and far, the girls' 'welcoming committee' tuned in to watch them in their first few days. The 10 year old daughter of our friend rushed home each day to check on "her babies" and eventually decided that she would need to start saving money for her trip from Colorado to Western Australia to meet them in person one day. When our babies were with us and out of their cot, we left notes behind explaining their absence. "Out feeding koalas...will return soon!" We are thrilled to have special stories and notes left in their 'Guest Book' of these earliest memories that special people in our lives have shared with Samantha Kate and Sophie Eleanore! Look@MyBaby made the world a lot smaller and our babies' first days in it filled with those important to us 'round the globe! Jenni, Anthony, Sophie Eleanore and Samantha Kate.